The changes suggested earlier this month have been officially confirmed today. The points criteria now focus on higher-skilled migration and reward work experience. 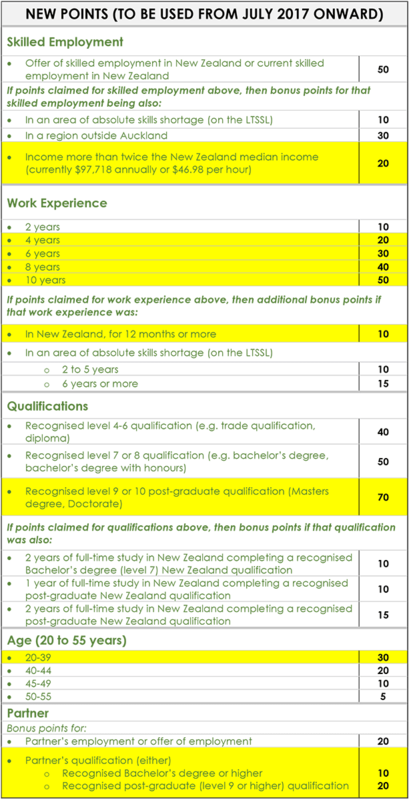 Bonus points for Future growth points have been taken off the chart, which now rewards post-graduate qualifications at level 9 and higher, and more points for work experience. There are also salary thresholds to be eligible under this category. The changes suggested for temporary work visas have also been confirmed, including the introduction of salary thresholds to determine skill level and visa conditions. We will now have lower, mid, and high skilled positions, based on the salary proxies below. 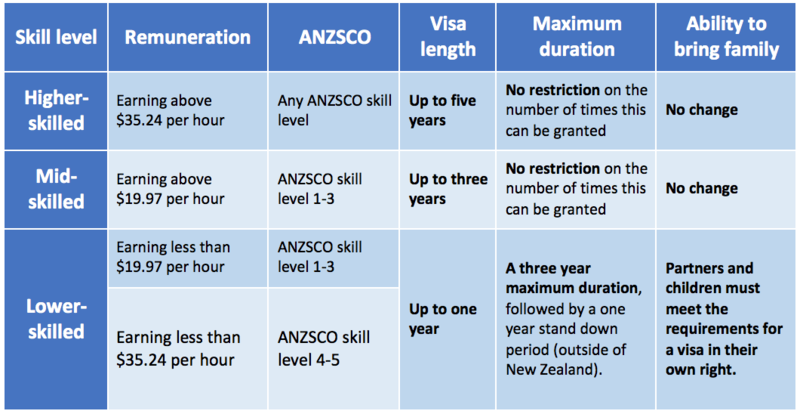 For workers in lower-skilled roles, a maximum visa duration of three years is introduced, after which there will be a year-long stand down period. Also, partners and children of lower-skilled Essential Skills visa holders will have to meet the requirements for a visa in their own right.